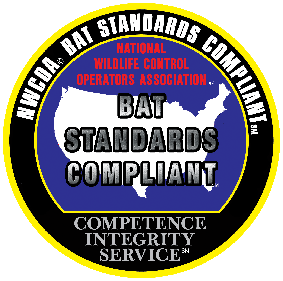 Silver-haired bats are among the most common bats in forested areas of America, most closely associated with coniferous or mixed coniferous and deciduous forest types, especially in areas of Old Growth. They form maternity colonies almost exclusively in tree cavities or small hollows. And like many forest-roosting bats, silver-haired bats will switch roosts throughout the maternity season. Because silver-haired bats are dependent upon roosts in Old Growth areas, managing forests for diverse age structure and maintaining forested corridors are important to these bats. It is estimated that these bats require snag densities of at least 21 per hectare and often forest management practices have fallen far short of this figure. Unlike many bat species, silver-haired bats also appear to hibernate mainly in forested areas, though they may be making long migrations from their summer forest to a winter forest site. Typical hibernation roosts for this species include small tree hollows, beneath exfoliating bark, in wood piles, and in cliff faces. Occasionally silver-haired bats will hibernate in cave entrances, especially in northern regions of their range. Like big brown bats, the silver-haired bats have been documented to feed on many insects perceived as pest species to humans and/or agriculture and forestry. 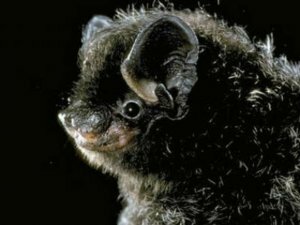 Even though they are highly dependent upon Old Growth forest areas for roosts, silver-haired bats feed predominantly in disturbed areas, sometimes at tree-top level, but often in small clearings and along roadways or water courses. Though their diets vary widely, these bats feed chiefly on small, soft-bodied insects. Silver-haired bats have been known to take flies, midges, leafhoppers, moths, mosquitoes, beetles, crane flies, lacewings, caddisflies, ants, crickets, and occasional spiders.